Take a modern smartphone. What sort of things would you expect to find? A big, hi-resolution touchscreen? Tick. A brilliant still and video camera? Tick. Fast cellular data and WiFi? Tick? A powerful operating system? Tick. Lots of applications? Tick. Stylish design? Tick. And.. errr.. NFC? Well yes.. that's a tick too. It might surprise you that in the same month that Apple launched its fledgling and frankly deeply flawed original iPhone, Nokia also launched a set of products with those features that we just mentioned. But not all in one device. As with other manufacturers, Nokia seemed to be wrong-footed by Apple's move. Where Apple came up with a single model with as many features as they could manage, Nokia spread the technology over three different products. You couldn't have everything in the one device. The Nokia N93i (a more polished version of the 2006 N93) was a Symbian smartphone with a remarkable camera. This 3.2 megapixel unit had a 3X optical zoom, Carl Zeiss optics and could record VGA resolution video at 30 fps. Because this was a Symbian phone then there were lots of applications available to download, and it also came with 3G and WiFi support, expandable memory, an FM radio and a TV output port. OK, it didn't have 3.5G or GPS, but the N95 (launched the previous September) did.. and that had a 5 megapixel camera too. 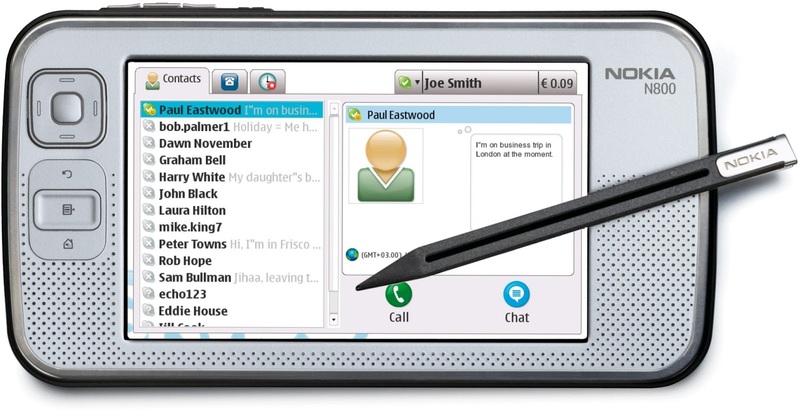 Then there was the Nokia N800, a compact Internet Tablet running the powerful Linux-based Maemo operating system. Maemo had all the technical potential that we today associate with iOS and Android. Compared to the iPhone, the N800 had a much bigger and sharper screen, more flexibility when it came to software but it was much bulkier and it couldn't make phone calls. 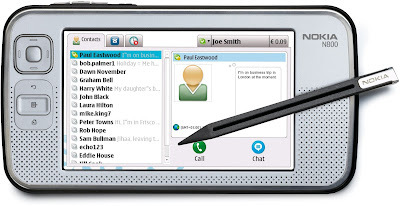 The N800 wasn't a huge success, but it did beat the conceptually similar iPad to market by three years. The third device was the Nokia 6131 NFC, which certainly didn't look like much but was the first commercially available handset to have NFC built in. Ten years ago, nobody really had a solid idea about how the technology could be used, but Nokia built the thing anyway because it had to start somewhere. 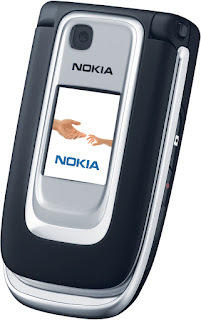 The 6131 NFC was a plain old feature phone, so it was limited in what it could do. Nokia ploughed a lonely furrow with a number of NFC handsets until Samsung launched the first Android device with NFC, the Nexus S, in late 2010. All of these technologies were pretty exciting, but Nokia being Nokia meant that you had to buy three different devices to have them all.. four if you wanted 3.5G and GPS support. So why not put everything in the same device? Was it simply that it would end up looking like a brick? At the beginning of 2007, Nokia completely dominated the mobile phone industry to the extent that there wasn't any real competition, so Nokia took the rather novel approach of competing with itself instead. Different groups would come up with different handsets with different technologies, which was all very interesting.. but ultimately it prevented Nokia from making the killer "all-in-one" device that it would need to fight off the iPhone and then Android in the late noughties. Today, the Nokia N93i seems to be the most desirable with prices for unlocked models in good condition ranging between approximately €150 to €350. Prices for the N800 vary widely from a few euro to €300 for an unused one. The 6131 NFC is the rarest of the bunch and also the cheapest, with €30 or so being typical. All three are technologically quite interesting though - and imaging what 2007 would have been like if Nokia had actually made a viable product combining all of those features.